Detail of the fitting of the Novo Swing operator on a timber gate. 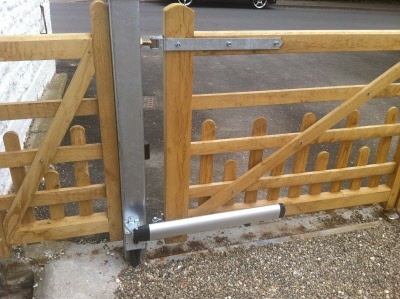 A compact and stylish automatic gate ram system the Novo Swing meets all European safety standards when fitted in accordance with the manufacturers instructions. The best eCommerce software by ShopFactory powers P99. All-in one eCommerce and shopping cart software.